You may have seen or heard about liquid supplements for diets but aren't really sure what they're used for -- or if you'd benefit from using them. Numerous liquid supplements are available marketed as weight loss, weight gain, nutritional, or vitamin supplements. So, if you're feeling overwhelmed, you're not the only one. Knowing a bit more about the supplements is a step in the right direction. Liquid diet supplements are nutritional supplements you can drink that provide a variety of essential nutrients. Calorie and nutritional content varies based on the type of supplement you choose. For example, some supplements are nutritional shakes designed to be meal replacements and aid in weight loss. Others are protein supplements or high-calorie shakes created for weight gain. Some are appropriate when you're malnourished, have diet restrictions, or are recovering from an illness or surgery. One commonality among these supplements is they generally contain a good mix of carbohydrates, protein, healthy fat, vitamins, and minerals. There are several benefits of using these supplements. They are a must when you're restricted to a liquid diet. The supplements can aid in weight loss. They can promote muscle recovery after exercise. Such supplements are packed with nutrients and convenient to use. The supplements shouldn't replace a healthy diet, but they are safe when used correctly. You may consume the supplements once or twice daily or as recommended by your doctor. When thinking about taking these supplements, there are some drawbacks to watch out for. While such supplements are often loaded with essential nutrients, they shouldn't replace eating food unless medically necessary, notes Harvard Health Publications. Furthermore, some liquid supplements are high in added sugar and can be quite costly. 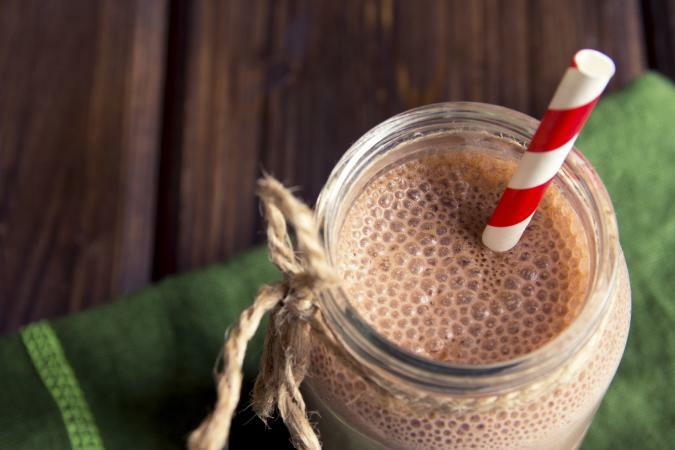 Some liquid supplements are designed as meal replacements to aid in weight loss. These often contain 100 to 200 calories per serving, are high in protein, and low in sugar. Examples include SlimFast and Nutrisystem shakes. When using them for weight loss, it's important to eat a variety of healthy foods and keep your total energy intake at around 1,200 to 1,500 calories daily. You can lose weight without using these supplements, but they are often convenient and come with detailed weight loss meal plans, which are beneficial for some people. Diet supplements designed for weight gain are usually high in calories and protein. They are often marketed as sports nutrition products, geared toward athletes and bodybuilders, and consumed between meals to add in extra calories. Examples include MuscleMilk Gainer and Optimum Nutrition PRO Gainer. Nutritional supplements, commonly used in hospitals and nursing homes, can also aid in weight gain. However, the focus is on helping you get in a variety of essential nutrients. You can use them between meals or as meal replacements. They are beneficial for patients who are ill, underweight, recovering from surgery, can only tolerate soft foods, or have dietary restrictions requiring a liquid diet. Examples of nutritional supplements include Ensure and Boost. 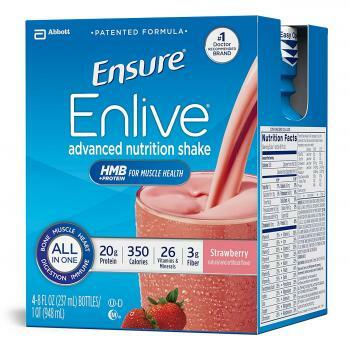 MedlinePlus recommends Ensure as one of the best when you're following a full liquid diet, and the University of Virginia Health System says to pick high-calorie Ensure Plus when you're recovering from an illness (such as cancer) or surgery. Ensure Plus comes in a variety of flavors, and contains 350 calories, 13 grams of protein, and 26 vitamins and minerals in each serving. If you're looking for a lower-calorie option, choose Ensure Original or Ensure Light. Try Ensure High Protein if your goal is weight loss or healthy weight management, or Ensure Enlive (containing 20 grams of protein) to help rebuild muscle. Boost is another supplement recommended by MedlinePlus for patients following full liquid diets. Try Boost Plus when you need extra calories due to illness, surgery, or radiation therapy, suggests the University of Virginia Health System. Similar to Ensure Plus, Boost Plus provides 360 calories, 14 grams of protein, and 26 vitamins and minerals. Boost brand also offers Boost Original, which is lower in calories than Boost Plus, High Protein Boost, Boost Calorie Smart (a reduced-calorie drink) and Boost Glucose Control. If weight loss is your goal, Medifast meal replacements are good options. These nutrition shakes are shown to be effective for weight loss when used as part of the Medifast plan. They also help reduce heart disease risk factors and preserve lean body mass, according to one 2015 study. A typical Medifast nutrition shake contains just over 100 calories, 14 grams of protein, 24 vitamins and minerals, and about 7 grams of sugar. As with Medifast products, Nutrisystem meal replacements are shown to be safe and effective for shedding pounds, according to a 2011 study published in the Journal of Chiropractic Medicine. Nutrisystem shakes provide about 110 calories, 15 grams of protein, a variety of vitamins and minerals, and about 7 grams of sugar. SlimFast meal replacements are also touted by the Journal of Chiropractic Medicine as being safe and effective for weight loss. Slim Fast shakes contain about 180 calories, 20 grams of protein, 22 vitamins and minerals, and just 1 gram of sugar. When you think of Power Bar, you might picture an athlete eating an energy bar. While Power Bar does make energy bars, this brand also offers high-protein liquid nutrition supplements perfect for rebuilding muscle after strenuous workouts. These shakes contain about 160 calories, 30 grams of protein, 24 vitamins and minerals, and just 2 grams of sugar. Orgain nutritional supplements, developed by Dr. Andrew Abraham, use only high-quality, organic ingredients and contain organic fruit and veggie blends in addition to protein. These certified organic nutrition supplements contain about 250 calories, 16 grams of protein, 23 vitamins and minerals, and 12 grams of sugar. When choosing these supplements, look for brands that don't list sugar as the first or second ingredient. Harvard Health Publications recommends picking supplements containing 10 to 20 grams of protein, less than 7 grams of fat, and no more than 40 grams of total carbohydrates per 8-ounce serving. Your medical history and weight management goals help determine which to choose and how often to drink it. A variety of supplements are available to meet your needs, so check with your doctor or dietitian to see which one is the best fit for you.